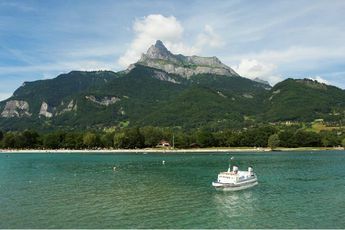 Located in Passy, in Haute-Savoie, spend your dream holiday at the Les Iles campsite with family or friends. The campsite is set in the middle of a large 5 ha green space. 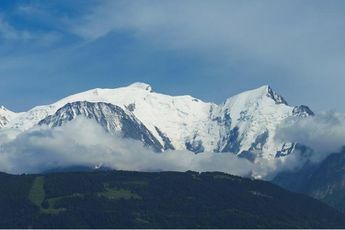 The site boasts panoramic views of Mont Blanc and the Aravis mountain range. 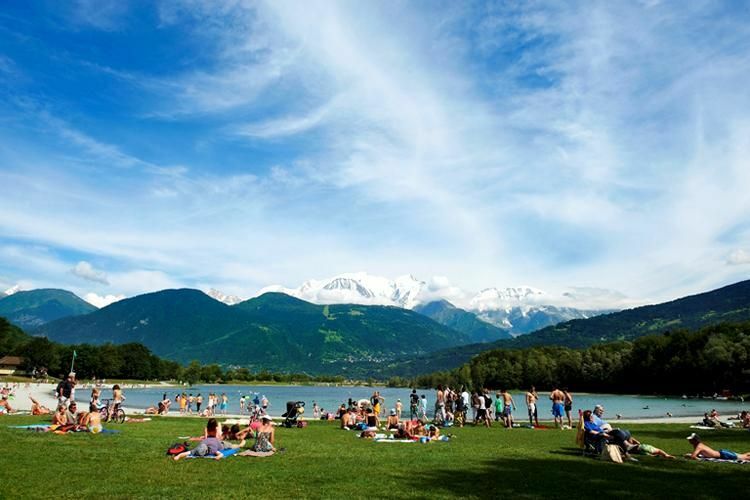 The campsite is only 150 m from lake Passy and 2 km the town of Passy. You can enjoy many activities during your stay in the region such as canyoning, paragliding and fishing. At the Les Iles campsite you can join in pétanque or ping-pong tournaments. Dance evenings are regularly organized to add a little fun to your stay (high season). There are also activities just for the kids during the daytime. There are laundry facilities, a restaurant and internet access available to you during your stay. 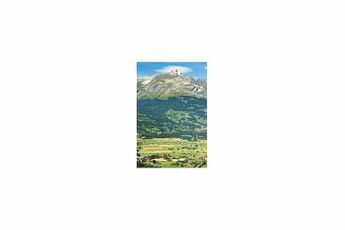 The Les Iles campsite in Haute-Savoie is close by to many tourist attractions such as LAiguille du midi, la Mer de glace (Sea of Ice), the Contamines-Montjoie nature reserve and the Platé desert. These sites are all equally spectacular and will astound nature lovers. Gare de la Fayet (4 km). You also have a wide choice of excursions... 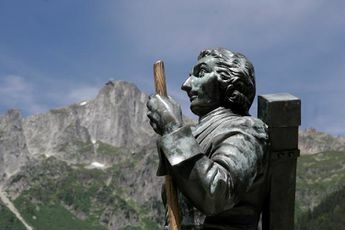 Explore the Passy nature reserve below the Aiguilles Rouge and Mont-Blanc mountain ranges. 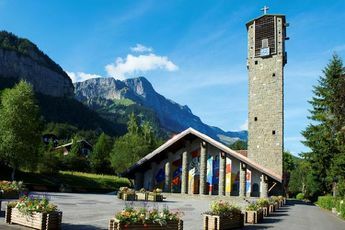 Take in the Church of Our Lady of All Graces (Passy) and its beautiful coloured mosaic then follow the trail of art on the "Baroque path". After exploring the area surrounding your campsite, go and discover the delights of Geneva!